Seventy-five years may be a mere blip in terms of world history, but in homebuilding years, it is a long time. While the homebuilding industry has undergone significant changes in the last seven-and-a-half decades, in the past 10 to 20 years we have been witness to major industry disruptors. We sat down with the Home Builder Association of Metro Denver’s (HBA) CEO & Executive Vice President Jeffrey Whiton to reflect on some of the major achievements the association has been a part of in recent years. The HBA remained the glue that held the industry together during the economic downturn. Now 10 years after the recession began, the housing market in Denver is among the hottest in the country. 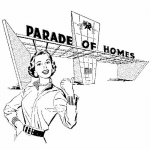 To meet these changing needs, the HBA chartered the Professional Women in Building Council to promote, enhance and support homebuilding and women within the industry. Over the years, the HBA has remained relevant, finding meaningful ways to add value for its members. To ensure builders and vendor partners are current on industry matters, the organization introduced the Metro Denver HBA University. The HBA also offers a variety of workshops and programs to help its members stay on top of industry trends and challenges. Not all of the HBA’s work deals with policies or up and down economies. The HBA and its members are actively involved in community causes or events. 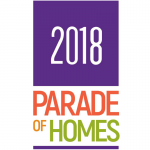 Of the many charities and community events in which the HBA participates, the annual Parade of Homes may have the greatest visibility in the community. 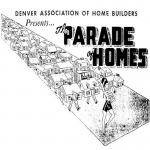 The Denver Parade of Homes has developed the reputation as Denver’s go-to, local home show and design houses tour, featuring the best showcase of new homes and communities throughout Metro Denver. Looking towards the future, Whiton believes the housing market in Metro Denver will remain hot. He believes more home builders will consolidate, leaving mostly large enterprises building homes around the U.S. However, Whiton also believes those who possess true entrepreneurial spirit will have the stamina and patience to remain in the homebuilding industry. And for those who aren’t quite sure where to begin learning about the industry, the HBA offers the educational resources, support and networking opportunities its members require to make connections, expand their knowledge and take the necessary steps to best meet the housing needs of the entire community. 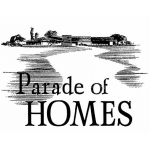 You can enjoy more articles like this in the Parade of Homes Magazine. Click here to view an online version of the publication.